Having spent the better part of 3 decades working with, and interviewing hundreds of sales people, I’m amazed at how badly most sales people perform when it comes to selling themselves. I nearly always conclude a sales interview with a tried and tested question: “so, tell me what unique value you would bring to our business if we offered you this sales role?” The answers that I get are mixed and varied but almost always underwhelming. No surprise that the best sales people that I have employed over the years, have been very good when it comes to selling themselves during the interview process. Sounds obvious right? You must be able to sell yourself before you can sell anything else to anyone. Which is why I’m always amazed that the vast majority of so-called sales professionals do a really lousy job when it comes to being clear about their own personal value – strengths & weaknesses. Does this really matter? It doesn’t just matter….it’s critical in today’s digital, global, connected economy. In this context, the role of the B2B sales professional continues to diminish as businesses move further and further into this new customer-led era, where customers solve their own problems and leverage new technology to self-serve. 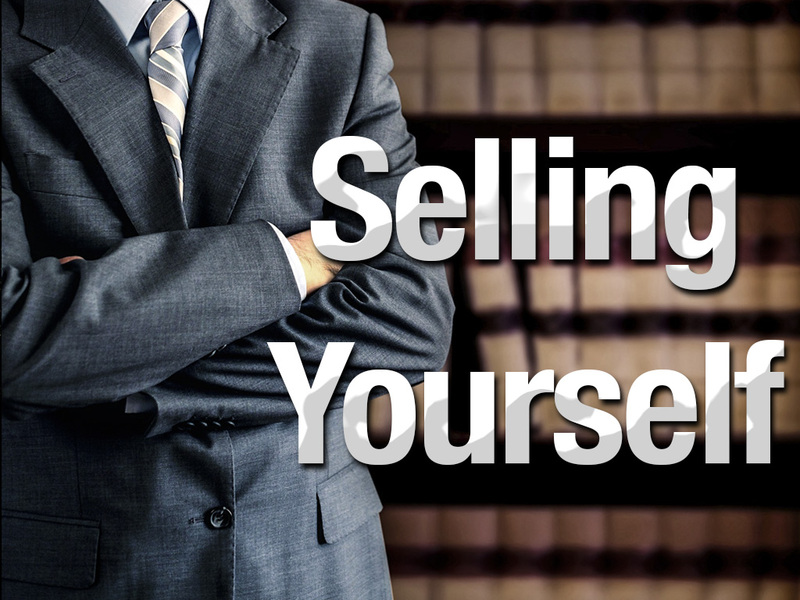 In the future, the winners and losers in the sales profession will be dictated by the individual’s ability to sell “themselves” – and not some widget. 1. Self-Awareness – in the ever increasing rush to produce sales results, sales people are often just blindly following an embedded (and often outdated) sales process or methodology, to the point where they are almost on auto-pilot all day every day. With increased scrutiny and oversight being applied to almost every activity, these same sales people rarely have much time for self-reflection or self-analysis. Of course, this runs counter to one of the most important element of a sales person’s skill-sets – emotional intelligence (EQ). If you are not self-aware, then how can you self-regulate?…..if you can’t self-regulate, then you are not adaptive. If you are not adaptive then you simply fail in a sales role. So, begin with a reflective and honest assessment of who you are, what skills (strengths & weaknesses) you possess, and what makes you different from the other circa 20 million B2B sales people that exist today. 2. Communicating your “unique promise of value” – in this new age of full transparency, sales people (like all business people) are being judged and assessed based often on the quality, or lack thereof, of their online presence and profile. This is happening before they actually even meet with a prospective customer. Argue all your like that this is not the case, but I’ll guarantee that your customers are taking a look at your LinkedIn profile BEFORE they decide to risk investing an hour of what little time they have listening to you ask them “so, Ms Customer, tell me about your business”or my other favorite sales ‘faux pas’: “so, Mr Customer, what keeps you up at night?”. If a sales person ever asks me that question, my response will be: “what keeps me up at night is rank amateur sales people like you that destroy business value by annoying their customers with this cringe worthy question”. Sales people DON’T need to have all the answers, but they do need to stop asking stupid questions like this one because these questions are no longer congruent with the new buying journey. In the same way that your customer has done their online research before your meeting (on your personal brand), you had better ensure that you have done your research on the customer so that you don’t have to ask that stupid question: that one will get you fired…and maybe your boss as well. Thus, it’s critical for sales people to ensure that they are very clear about what sets them apart from their peers. Awareness of the intrinsic value that they bring to their customers, and sales people need to be crystal clear about how this value is communicated – both online and offline. Every B2B sales person should know exactly what their “unique promise of value” is, and be able to very clearly communicate that value proposition to their target audience – that is, the personal elevator pitch. Importantly, if that unique promise of value does not currently come across loud and clear in your online profile then iterate and update your profile quickly. 3. Personal Branding – the term ‘brand’ has always been associated with businesses and products, but in today’s digital connected, global economy, we all have a personal brand (good, bad or otherwise) and our ‘brand’ is on display 24/7 for the whole world to see. I’m still amazed that so few sales people have made any meaningful attempt to cultivate a strong personal brand, which simply tells me that they either don’t care, or haven’t thought about it. A digital footprint now exists for all of us whether we like it or not, and if you are not being careful about how your brand is being cultivated then you are running the risk of being unfairly judged and probably pigeon holed. According to an AVG study, 92 percent of children under the age of two already have a digital footprint. The question is no longer IF you should have a personal brand, it’s more a question of whether YOU decide to cultivate your own brand, or whether you are going to let it be defined by others on your behalf. So, I strongly recommend that you begin with some serious self-analysis. Then I would suggest that you conduct your own online audit to ascertain a baseline on the current state of your personal brand. Once you have done this, I would urge you to read Reinventing You by Dorie Clark. Being self-aware, curating a strong personal brand, and being able to clearly articulate your “unique promise of value” are all absolutely critical for sales people in the 21st century. Let’s face it, if you are not clear about your own value then how can you effectively sell ‘yourself’ to your customers, employers, and future employers. Your career, and your future happiness, may well hinge on your ability to get on top of these fundamentals, and reinvent yourself professionally. Times have changed people: Adapt-Learn-Change. In the interim. please follow my LinkedIn post page for all my articles.